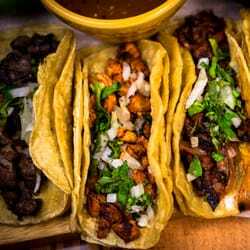 Looking for a Mexican place that offers more than just great margaritas and enchiladas? Look no further. Camino has just about everything you could ask for in a Mexican-style restaurant. 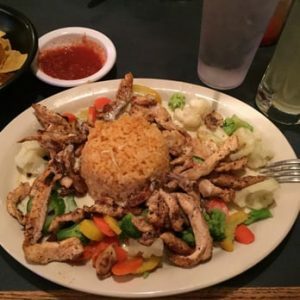 The menu includes the classics like burritos and tacos, as well as delicious wings and salads. The drink menu is very impressive, it features great margaritas, yes, but it also features fun cocktails like the “Sangre De Maria” (sauza cucumber chili tequila, Bloody Mary mix, fresh cilantro and lime) for $8 and “The Momo” (Patron Silver, Cointreau, mango puree, causa made sour, and a sugar-salt rim ) for $9. – CHECK THIS If your whole group can agree on a single kind of margarita, you should consider getting a tower that you can all share! On top of great food and drinks, people also love to frequent Camino for the happy hour specials and fun events like weekly trivia. The offer different specials nearly every night of the week but Wednesday is definitely one of the best days to make the trek to Camino because not only is it Trivia Night, it’s also $5 house margarita night! If you are looking for a cheap taco, be sure to stop in on a Monday, when they offer half-priced tacos, which brings them down to $1.50-$2! Thursdays are for $5 build-your-own burgers and lastly, on top of all of these, they offer Happy Hour specials Monday through Friday from 4 pm – 7 pm that include half-priced appetizers and $1 off drinks. Onto the food, people point to “Quesadilla” (chicken, steak, or vegetarian (no bacon) with cheese, bacon, pico de gallo, and sautéed in sriracha, guacamole, salsa, and Mexican cream on the side) for $10.95, the “Taco Salad” (chicken, beef, or vegetarian – lettuce, cheese, black bean corn salsa, pico de gallo, and chipotle ranch on top of tortilla chips) for $9.95 and the unconventional, “Camino Mac ‘N Cheese” – macaroni mixed with house made queso dip, with choice of ground beef, chorizo, bacon, chicken, or vegetables. Served with Caesar salad) for $10.95 tend to be the top customer favorites and it’s not hard to see why. All of these are fun choices at affordable prices, perfect for a quick bite or full evening out. The location is great, too. It resides right on the edge of The Warehouse District where it borders The Flats neighborhood making it a close walk to people who live in either place. It’s also only a few minutes walk from Tower City and East 4th street making it a great way to start the night as you trek through the city. Overall, this is the perfect low-key hangout you’ve been dreaming of. 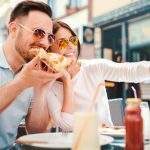 Since they have everything you could want from in a restaurant including delicious food, a great bar and fun trivia nights – you and your friends will want to make this your regular spot in no time. Stop in at the Warehouse District location at 1300 W 9th St, Cleveland, OH 44113. Contact the restaurant via phone at: (216) 621-8226 or visit the website here.